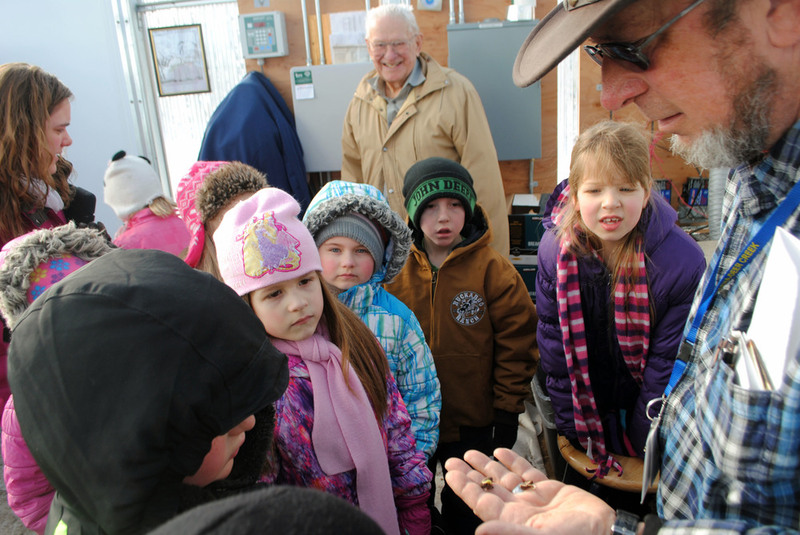 Wadena-Deer Creek first-grade classes are visiting the WDC Greenhouse this week and discovering what's inside that "little plastic shed" on the middle/high school campus. 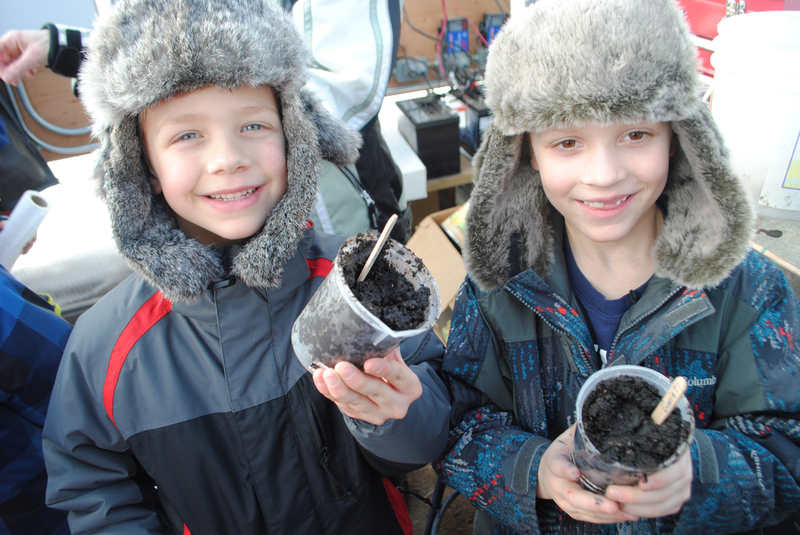 As the first-graders bundle up in their winter wear and walk from the elementary school to the greenhouse, they are pleasantly surprised to find the little shed is warm and bright inside. Greenhouse caretaker Ed Lewis welcomes the curious students and explains what plants are growing inside the greenhouse -- lettuce, radishes, beans, spinach and carrots are popping through the rich, black soil. 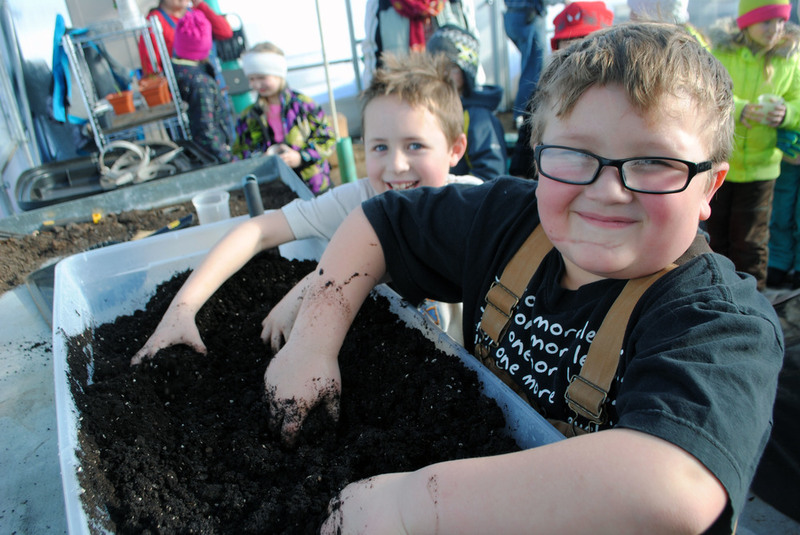 While there, students get a chance to get their hands a little dirty. Each student is given a small plastic container with a hole on the bottom for drainage. They add moist potting soil and a few Marigold seeds. Lewis will look after the flower seedlings while the germinate and grow. Then in May, the first-graders will get to take them home as a special gift for their moms for Mother's Day!